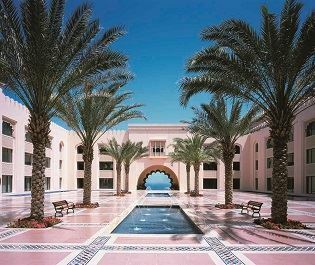 Oman holds similar values to a luxury African safari – the ability to effortlessly combine its cultural traditions and natural beauty with modern, luxurious touches. Sitting along the south-eastern edge of the Middle East, Oman is full of wonderful surprises. The first thing we noticed when we first visited Oman is the overwhelming sense of friendliness and warmth. The locals of Oman are extremely welcoming, hoping to help you connect with their country’s fascinating heritage and culture. Oman is a choice that’s different from the norm, but that’s part of its charm. Though of course you get the pristine white beaches usually found on a bush to beach holiday, you also get a holiday teeming with history and excitement. One of the oldest civilisations in the Middle East, Oman has been able to maintain its Arabian values, yet still make way for modern, luxury hotels and resorts we can’t wait to show you. 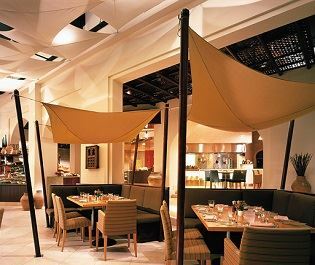 Culture enthusiasts will love exploring Muscat. A picturesque city adorned with chalky white buildings and a pretty harbour, Muscat is full of lively markets, historical buildings, and incredible food. The souks here are phenomenal – we love discovering the eclectic streets and stalls full of colour and vibrancy, and the Mutrah Souq is certainly the best to visit to really immerse yourself in the tradition. Don’t forget the mosques either – their bright white, grand structures are a breath-taking sight. Those not wanting to leave spotting wildlife completely behind will love Oman too – we’ve had plenty of exciting whale and dolphin watching experiences amongst its crystal clear waters. We believe those who fall in love with Africa’s cultural charm will easily fall for Oman too, and we have plenty of luxurious accommodations under our belt including The Chedi and Alila Jabal Akhdar to ensure you enjoy a lavish stay whilst you explore the country’s impressive history. Speak to our team and we’ll be sure to create your perfect, tailor-made trip to Africa and Oman. Overlooking the Al Hajar Mountains, this charming and majestic hotel really evokes a sense of indulgence. Inspired by ancient Omani forts, this is certainly one of our more unique beach retreats. The views are simply phenomenal here. 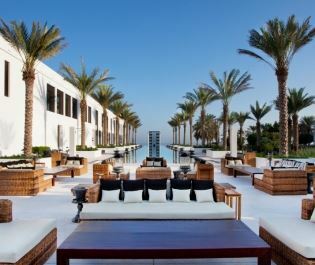 With villas and suites built from natural stone, delicious Arabian fare, a beautiful beach and an intimate atmosphere, Zighy Bay is a stylish place to unwind. With grand, traditional Arabian architecture and decor, luxurious amenities, fantastic activities and sumptuous restaurants, this is one of our favourite classy hotels in Oman. 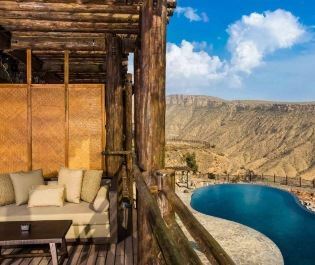 The first family dedicated hotel in Oman, this luxurious hotel is perfect for a once-in-a-lifetime bush to beach holiday the whole family will enjoy. Part of Shangri-La Barr Al Jissah Resort & Spa, Al Husn offers pure luxury, with architecture inspired by Arabic palaces and phenomenal amenities, including private beach access.